All of us have been in that situation before. We come home from an overseas trip with left over foreign currency in our pockets that were unused. If the foreign currencies were from a country we visit often (e.g. Malaysia, Thailand), we would usually keep it with us till we next visit the country. But what if the currency was from a place we would not be visiting anytime soon? What do we do with the left over currency? There are three main things that travellers normally do. This is the most straightforward thing to be doing. You changed too much Singapore Dollar (SGD) for the foreign currency. Now that you are back, it’s time to change it back to SGD. Most people know this isn’t a great strategy because we lose a spread each time we change it with the moneychanger. That is why we would always try our best to estimate how much we need for the trip and to change the right amount of money. To avoid changing our money back to SGD and lose a spread (again), the next best thing we could do would be to hold on to our foreign currency and to pass it to our friends or family members who might be travelling to the country in the future. One of the reasons why operating a retail outlet at an international airport is lucrative is because you gain daily access to a huge number of international travellers who are looking to spend the left over currencies they have before returning to their home countries. It’s also another reason why you still see souvenirs such as key chains, magnets and mugs being sold till today. What Travellers Should Be Doing Instead? Instead, here is what most of us should be doing with our left over currency. Do the currency exchange there, in the country you are visiting. Not with your SGD but with your left over currency instead. This way, you avoid losing the exchange spread twice. Instead of changing your left over currencies in Singapore and then changing it again when you are travelling, just do the exchange in the next country you are visiting. Here is an example of how it works out for travellers. Assuming you came back from Europe with 100 Euro. Based on rates published by Mustafa, you would received back $151 for your €100. If you were to change the $151 to Korean Won, you would receive ₩125,833. Instead of doing all the exchanging in Singapore, what you could do instead is to simply bring your Euros to Korea and do the exchange directly in Korea. Based on an exchange rate of 1 Euro = 1,292 Won, you would receive ₩129,200, or a discount of about 2.5%. The world of Forex is an extremely complicating one. Generally speaking, if you are holding on to major foreign currencies such as the US Dollar, British Pound or the Euro, it is unlikely you need to bother reconverting it back to SGD. Simply hold on to it and use it for your next overseas trip. Being Singaporean, this may sometime feel counter intuitive since we would naturally feel more comfortable holding on to our home currency. Yet when it comes to foreign exchange, it is important to take a global perspective. 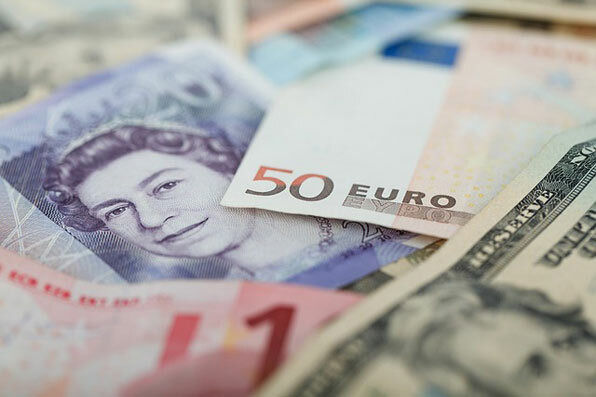 In most other countries we travel to, holding on to major currencies such as the US Dollar or the Euro would actually be more useful than bringing along your stack of SGD notes. In fact, some moneychanger in places like Korea may not even accept SGD. Most moneychangers around the world would accept US Dollar or Euro. This doesn’t apply to all currencies. 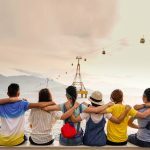 If you are holding on to some of the less popular currencies such as the Vietnamese Dong or the Philippine Peso, then you may not want to bring it with you if you are travelling outside of Asia. This is also the reason why some currencies are inherently more valuable to be holding on to.